She's Sophilicious: The 3rd-5th of July, 2010! Sophia Elena's and Penelope Olivia's blog. Well, their parents' blog because they can't type. Because Sophie's a little kid and Penny's a baby! The 3rd-5th of July, 2010! 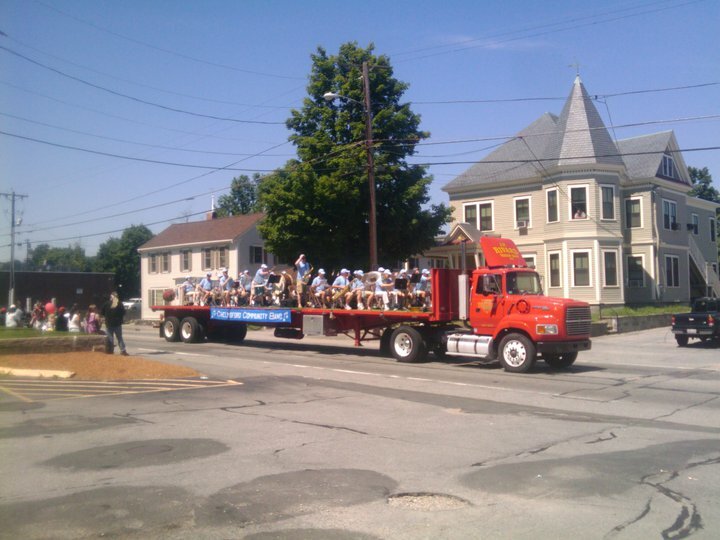 This year's "fourth of July" celebration was marked by several outtings to the local community. 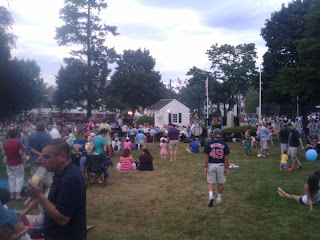 First, we went to a 3rd of July bluegrass concert in Westford center where one of Tim's friends was playing with a great group called the Boston Road. Tim and I thought it was great and Sophie kind of liked it. She went to a face painting booth and proceeded to have her entire left arm painted with hearts, doves and butterflies...in purple, but of course! We then all fled for the coolness of our house because it was near 95 degrees outside and extremely humid. 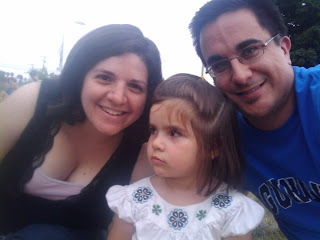 The next day, we spent almost entirely indoors due to the same weather conditions, but we did head outside for the Chelmsford Center 4th of July carnival! Sophie got to spend some time in a fire engine, watch the Chelmsford Community Band play some marches as well as some doctored Handel (I am really not sure if the music for the royal fireworks should ever be played by a concert band....maybe a symphonic band? ), she got to enjoy watching people attend the carnival booths, and had a nice mini strawberry shortcake! When all was said and done, we were too hot and too tired to go to the local fireworks, so we retired home in time for the televised Boston Pops concert at the hatchshell and watched some of their fireworks too! 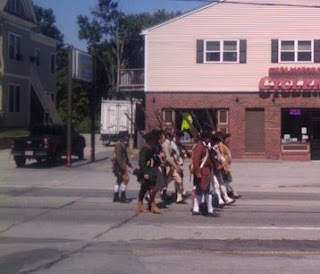 The next day was July 5th and this was the day of the Chelmsford 4th of July parade. We went for the first hour and a half of it, or so. We saw lots of fire trucks, police vehicles, some great floats and of course, the Chelmsford minutemen. We also saw many local and state-ide politicians marching for votes. Suffice to say, it was interesting to see who voted with supporters and who did not. Since Chelmsford's parade is the biggest one in the area, we had some big name politicians. To my shame, Sophie clapped at all of them. I guess it is good to have a polite kid, right? We ended the 5th of July hot, tired and fairly happy. Sophie is a big fan of holidays that involve cheering and the possibility of free balloons and candy. 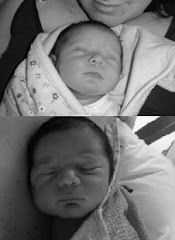 Sophia, March 9th, 2007, and Penny, September 27th, 2010!